We remain surprised at the number of people who mistake open online polls for scientific research. This story about SeaWorld and a question about whether they “stuffed the ballot box” on an online poll overlooks the bigger picture when they discuss the topic. Online polls with open links are not scientific research and you can draw no conclusions from them. In some settings they can add value as a measure of public passion, but they should be considered as input and not research. Our recommendations to clients is that it is useful to gather both public research and public input. 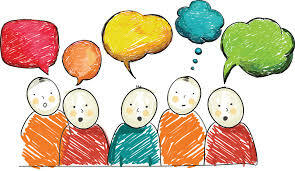 Public input allows people to share their opinion if they wish, and it is a measure of passion. Online input is acceptable for this purpose. However, if you want to understand and measure the public’s opinions, you have to use scientific research, which means actively sampling the population and controlling (with neutrality) who is selected for participation. 95% or more of online polls fall under neither of these categories and should be considered as entertainment only. The poll mentioned in this article has no value other than entertainment, and I guess it provided that. Previous PostOnline qualitative tools provide more workscope optionsNext PostWhere does a SWOT come from and where does it lead?